BetSoft is a company that has raised the bar when it comes to 3D gaming. Their games –including BetSoft Roulette– are renowned throughout the industry for their state-of-the-art graphics, audio, and gameplay. The company boasts a collection of over 150 games, including Roulette, Video Poker, Blackjack, Table Games, Keno, 3D Poker and their amazing quality 3D slots. The company has free demonstrations of the games on their site, meaning players can test the games and feel comfortable playing them before they play for real money. All of their top-tier games are available via Flash, meaning that you’ll be able to play the games instantly, with no download required. BetSoft casino software is fully committed to fair gaming, having attained multiple certificates from Gaming Labs International –meaning their games are fair, secure and fully auditable. Firstly, there are the standard European and American games. The difference between the two games is that in the European game there is one zero, in the American, two zeros. This means that there is a larger house edge in the US version. Both variations feature the wheel in the top left-hand corner of the screen and the betting area across much of the screen. Visuals: Graphically, this game is very good. The betting area is crisp and the motion of the wheel is extremely clear, meaning you’ll have no problem following a particular number –which is not always the case with virtual Roulette. Bet Placing: Placing a bet is very straightforward, simply click on a particular chip amount and then place it on the betting area. If there are any mistakes, you’ll hit “clear” and you can start again. Spin: When your betting is done, hit “spin” and the ball is set in motion. When the ball comes to rest, you’ll also see a close up of where the ball has landed –a nice feature, although probably not a necessary one, because of the clarity of the wheel. History: The main additional feature of the game is a history window showing the results of the previous spin. Help: A help window gives detailed information on game rules, payouts, and handy tips when playing the game. You’ll also be able to play European VIP and American VIP. 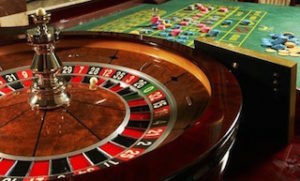 Visually and in terms of gameplay, they are exactly the same apart from a different colored wheel, but individual casinos might designate higher limits at these tables. The final Roulette game offered is the Common Draw Roulette, a variation of their European Roulette. In this game, you’ll be able to converse with other players through a chat box. Being a game designed for more than one player, you won’t dictate when the spin takes place –the spin takes place every 30 seconds. For players wanting a social aspect to their game, this is ideal. BetSoft offers a great variety of games in their software suite. As well as Roulette, other table games available are Blackjack, Craps, Table poker, Baccarat and Red Dog. Video poker is a specialist area, offering an outstanding range of 28 variations of the game. They have 22 standard slots available, some with three reels, others with five. Where BetSoft really makes their mark is with their video slots. There are 50 visually fantastic games. We’d have to agree with their assessment. Some of these games wouldn’t look out of place on a dedicated gaming machine. BetSoft Must-Play Games: Sugar Pop, Boomanji and Fruit Zen. When looking at the quality of a casino suite supplier, you can immediately gain a feel for how good they are by looking at the casinos who license the software –and BetSoft has Bovada in their long list of licensees. These two companies make a great team. Bovada offers the best in gambling with a sportsbook, a race book, a poker site and of course the casino with BetSoft supplying their top of the range games to the casino. When signing up to Bovada casino, you’ll be able to take advantage of an amazing $3,000 bonus, in the form of eight individual 100% match bonuses. 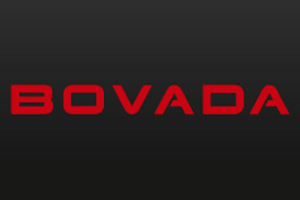 One great thing about Bovada is that they don’t just look after new players. Video Poker: $52 is available on a weekly basis when playing on Video Poker Wednesdays. Roulette: $10 chip every Tuesday when playing on one of the 20 table games. Blackjack: $100 in bonus chips when playing on weekends. *Bovada no longer uses BetSoft software, they use RealTime Gaming.